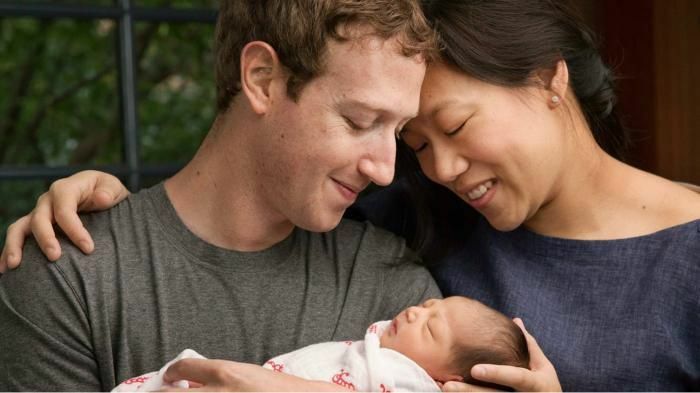 Facebook CEO Mark Zuckerberg and wife Dr Priscilla Chan welcomed a new baby girl Maxima Chan Zuckerberg. The new father shared the cutest ever photograph of his daughter with wife in a Facebook post on Tuesday. 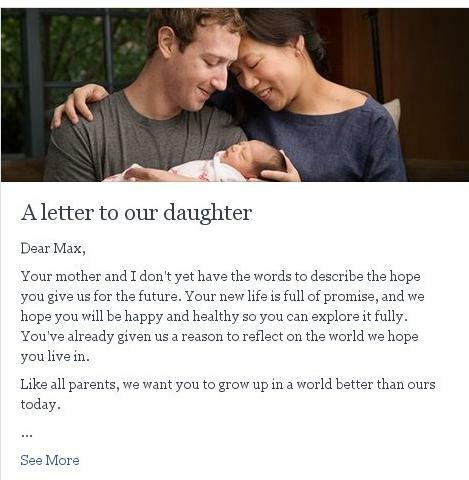 Not only this, he also wrote the cutest ever letter to her daughter expressing how delighted they are on her birth. Your mother and I don't yet have the words to describe the hope you give us for the future. Your new life is full of promise, and we hope you will be happy and healthy so you can explore it fully. You've already given us a reason to reflect on the world we hope you live in. While headlines often focus on what's wrong, in many ways the world is getting better. Health is improving. Poverty is shrinking. Knowledge is growing. People are connecting. Technological progress in every field means your life should be dramatically better than ours today. Today, most people die from five things -- heart disease, cancer, stroke, neurodegenerative and infectious diseases -- and we can make faster progress on these and other problems.Once we recognize that your generation and your children's generation may not have to suffer from disease, we collectively have a responsibility to tilt our investments a bit more towards the future to make this reality. Your mother and I want to do our part. Children who face traumatic experiences early in life often develop less healthy minds and bodies. Studies show physical changes in brain development leading to lower cognitive ability.Your mother is a doctor and educator, and she has seen this firsthand. For your generation to live in a better world, there is so much more our generation can do.Today your mother and I are committing to spend our lives doing our small part to help solve these challenges. I will continue to serve as Facebook's CEO for many, many years to come, but these issues are too important to wait until you or we are older to begin this work. By starting at a young age, we hope to see compounding benefits throughout our lives.